Greetings friends and fellow crafters, LeeAnn here with my Critter projects. 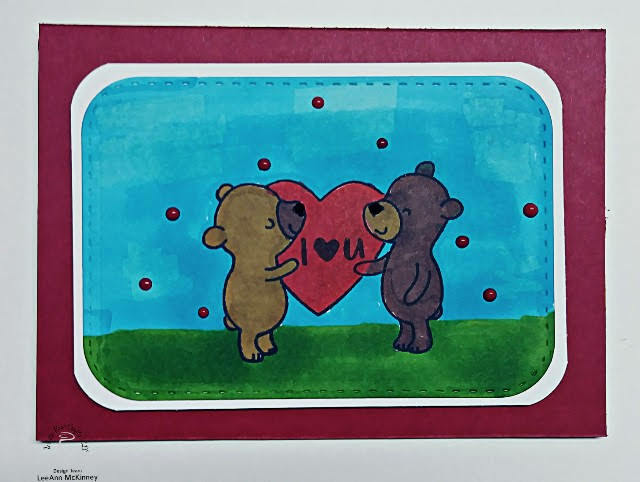 For this first card I used the Heffy Doodle "Beary Big Heart" stamp set and some Distress Oxide inks "Broken China and Lucky Clover" I stamped my images with Memento Tuxedo Black and the sentiment with VersaFine Onyx Black. I used Nuvo Red Berry Crystal Drops for embelishment and colored my images using Chameleon Markers. I used Wink of Stella to give the heart some sparkle. 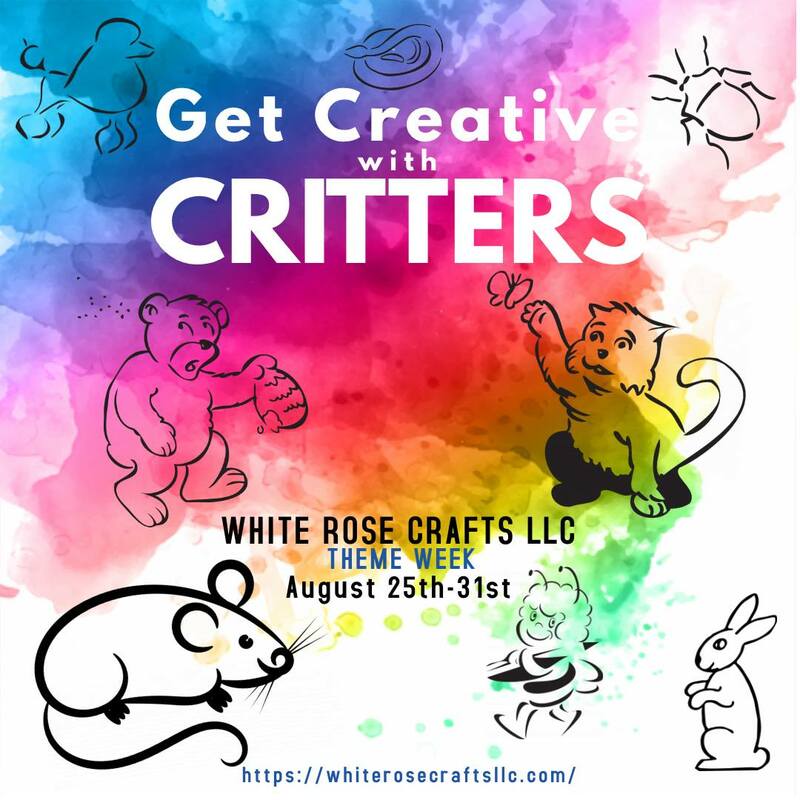 For this project I used paper from the 12x12 Lemoncraft "Heart Painted" paper collection. 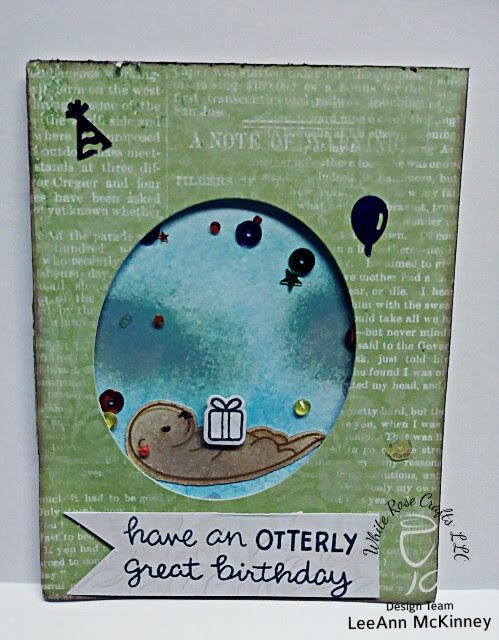 I used the Lawn Fawn "Otterly Great" stamp and dies to create this shaker card. I added "Birthday Bash" Sparkle Blends to the inside of my shaker and a few around the outside. My watery background was made using Broken China and Salty Ocean, the rocks were made using Hickory Smoke. I stamped the sentiment using Versafine Onyx Black.